On the 2nd July 2008 Pat Drake became the first lady President of the Rotary Club of Brighton. Pat has worked in local government for 37 years since 1971, and is a councillor for Withdean Ward. She was elected Mayor of the city for 2004-5, becoming Deputy Mayor for 2005-6. The Rotary Club of Brighton is the oldest town club outside America and was founded in 1913. It was preceeded by clubs in seven cities. The club has a proud heritage of helping local and worldwide charities and its 100 year anniversary will be celebrated in 2013. 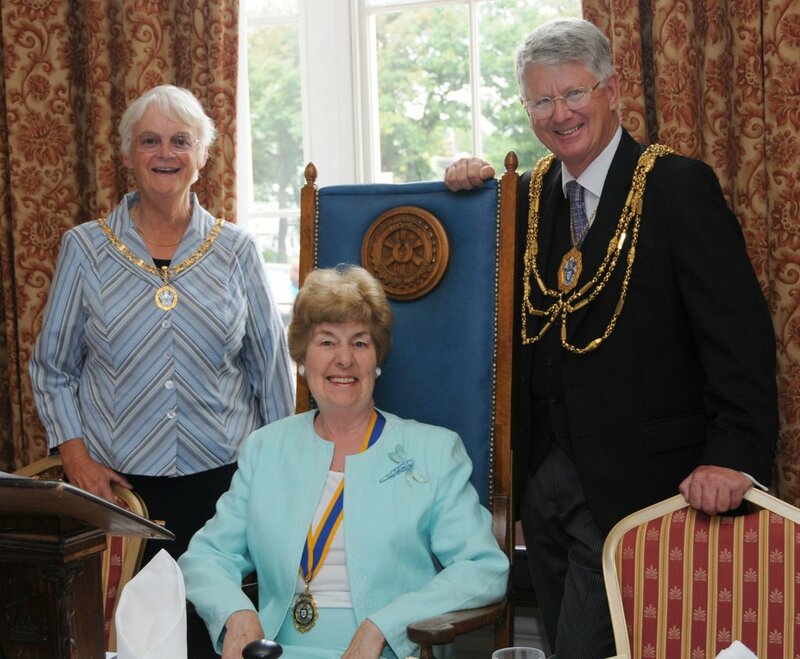 The Mayor of Brighton and Hove is always invited to become an Honourary member during their year of office, so The Rotary Club were delighted to welcome the current Mayor, Councillor Garry Peltzer Dunn and his Lady Mayoress, Mrs Chip Peltzer on Wednesday 6th August.